Integration Days is the largest gathering of professionals in the Nordics with a passion for system integration, digitalization and the possibilities it creates. This year we are focusing on the cloud! Cloud has moved beyond being simply a technology and has transformed into a way of doing business. Join us at Integration Days 2019 as we feature two prolific speakers within WSO2, who will be covering the topics, Integration in a microservices architecture and Agile integration with API Management. The Integration Days will take place from Jan 31 – Feb 1, 2019, at Lindholmen Conference Centre in Gothenburg, Sweden. Chathura Ekanayake is an Associate Director / Architect at WSO2. He is a member of the WSO2 Solutions Architecture team providing consultancy for customers on integration related projects. His main technical interests include distributed systems, integration technologies, and workflows. 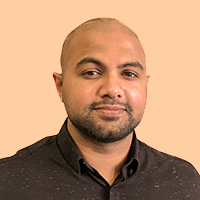 He has contributed to the architecture and development of many open source and WSO2 projects including Apache Synapse, Apache Axis2, WSO2 Enterprise Integrator, and the Ballerina programming language project. He is also a committer of the Apache Synapse project. Chathura holds a first-class BSC (Hons) degree in Computer Science and Engineering from the University of Moratuwa, Sri Lanka and a Ph.D. from Queensland University of Technology, Australia. He has been a speaker at various academic and business conferences including the International Conference on Business Process Management and WSO2Con. Chathura teaches as a visiting lecturer at the University of Moratuwa and delivers guest lectures at University of Peradeniya and University of Colombo. Associate Lead Solutions Engineer, WSO2. 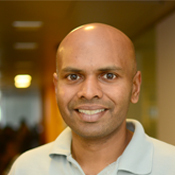 Chathura, Associate Lead - Solutions Engineer - currently works in the Solutions Architecture team at WSO2. During the course of his career at WSO2, he has also been involved in the research and development of WSO2 App Factory. Prior to joining WSO2, Chathura worked on designing and implementing enterprise solutions related to the banking industry, obtaining experience on working with different technologies such as IBM, Oracle, Microsoft middleware and near-field-communication (Sony Felica based) platforms.